LAKELAND MOONWALKS AND SLIDES IN pOLK cOUNTY fL. 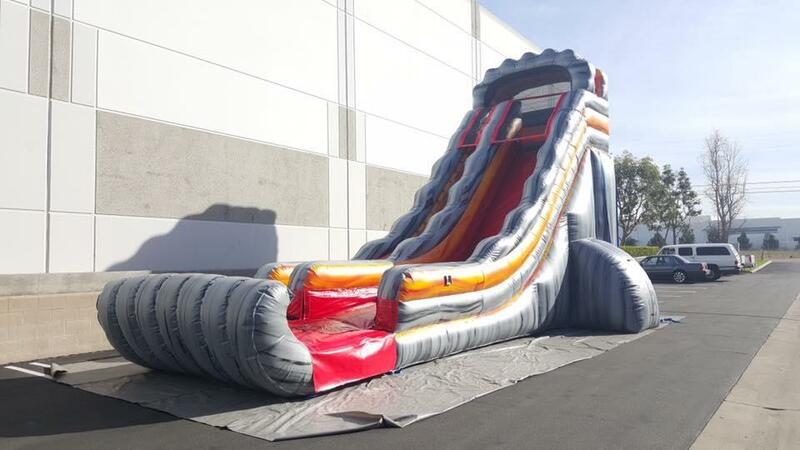 24 Feet tall and ready for any challengers, be the first to ride the volcano, this is a dry use inflatable slide with stop bumber on the end for safety of your party goers. This will be the hit of any event or party in Winter Haven, Lakeland, Auburndale or wherever in Polk County Fl. you may need it. We have been in the party rental business since 2004 with NEVER LATE DELIVERIES AND NEVER CANCELLED AND EVENT.